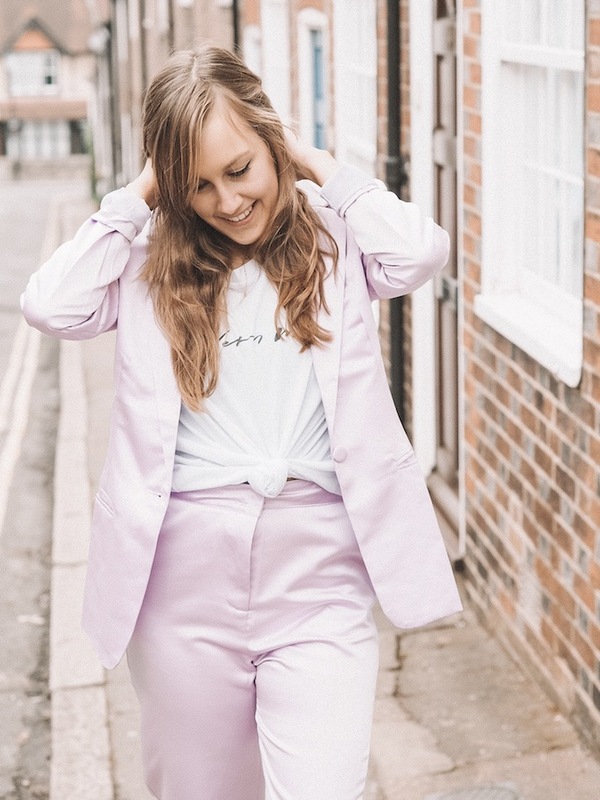 Hello, I thought I would write just an old school outfit post today. 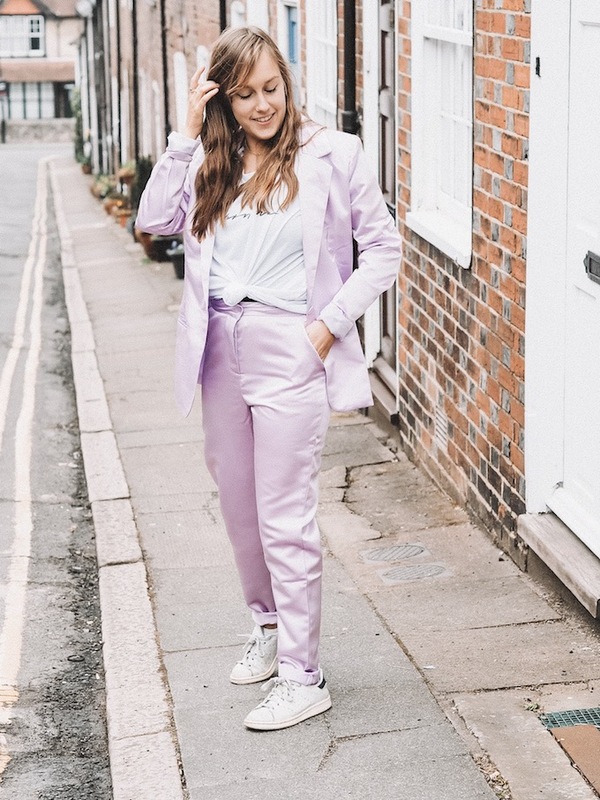 Because I mean I think this suit needs it's own post really and I actually enjoy posts where someone talks about the outfit and maybe throws in a little life update, so let's get to it! As with many outfits I seem to upload recently I always use the phrase *If you had asked me a year ago..* but yes this outfit needs that phrase again because my style is really evolving a lot a this year and I'm finding myself massively in clothes and styling and I actually enjoy every day opening my wardrobe and thinking yes, I'll grab that and style that with this and this. However my bank balance isn't feeling quite the same but it's surviving nonetheless and hey we get a new pay check every month so.. Anyway, onto the outfit! Look at the colour to start with. Stunning right? Zendaya dropped an amazing edit on boohoo and honestly if you haven't checked it out, where have you been?! It's an edit full of stripes, dresses and tailored pieces. 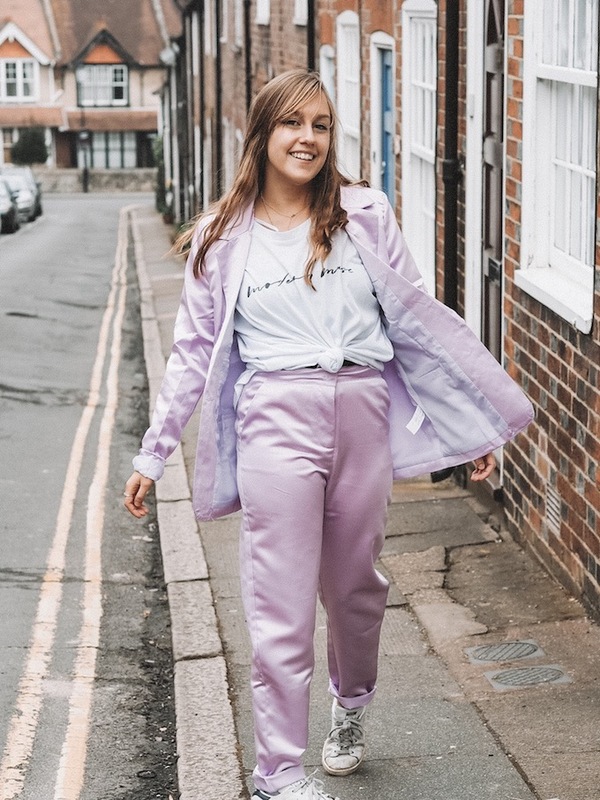 So there is totally something for everyone and perfect to add a little something something to your spring/summer wardrobe. But things are selling out quick so click here to get your mitts on some items now! I mean unfortunately my suit is out of stock too, but keep your eyes peeled as I'm sure it will be back! But yes back to the suit. When I first put it on I jumped out of the car *glamorous car change there* and just said "I'M AN EASTER BUNNY" I was so out of my comfort zone with this. It is NOTHING like I have ever worn before. But you know what, I took a breath and thought no. I am going to rock it. I twirled round the streets in the quiet town that is Lewes and didn't care. I don't think the folk of Lewes knew what had hit them. It's very tailored so thats where dressing it down with a tee and even knotting the tee comes into play. That with the trainers I think drops the vibe immediately and why I think I felt more comfortable in the suit. Also another thing to note is the blazer didn't have shoulder pads, thankfully! 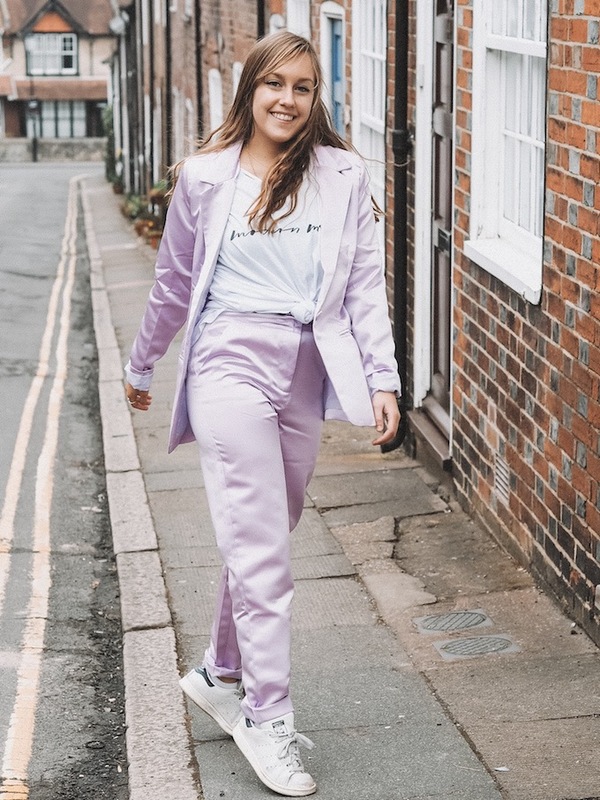 I am not a shoulder pad girl and again that helps the laid back but pulled together vibe. I do think though that if I get invited to any formal events - i.e. weddings I may be that girl that brings out the suit. As with heels and a lace cami it could look gorgeous. Even if I just wear that outfit without the blazer it could look so chic. Or vice-vera, jeans, a tee and just the blazer an easy way to channel the whole smart casual vibe. I know we all freak out about and start rocking in a corner thinking what does that mean, what does that mean?! So bam. 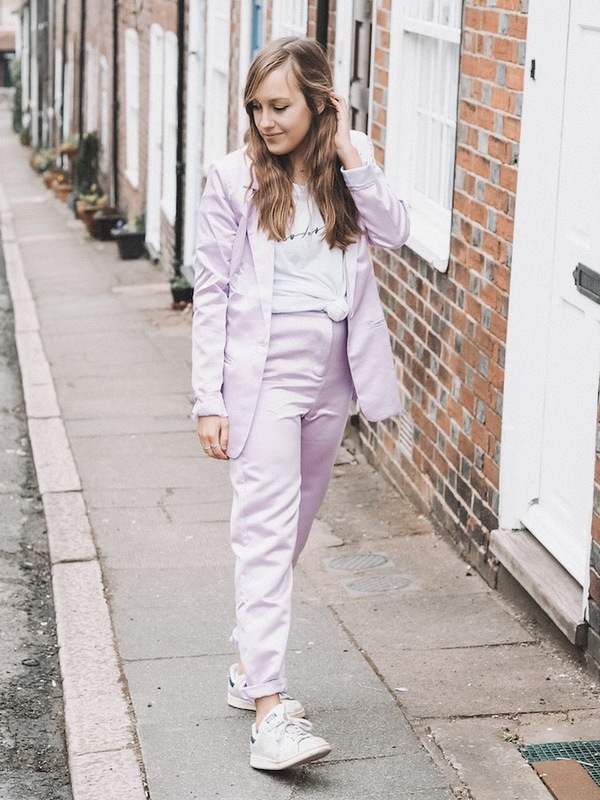 There is 3 outfits from just one very affordable outfit *kicks self for not taking photos of the other ways to style this suit and make this a 3 ways to wear a suit post* Ah well. At least that's a new post in the back pocket! And there we have it. 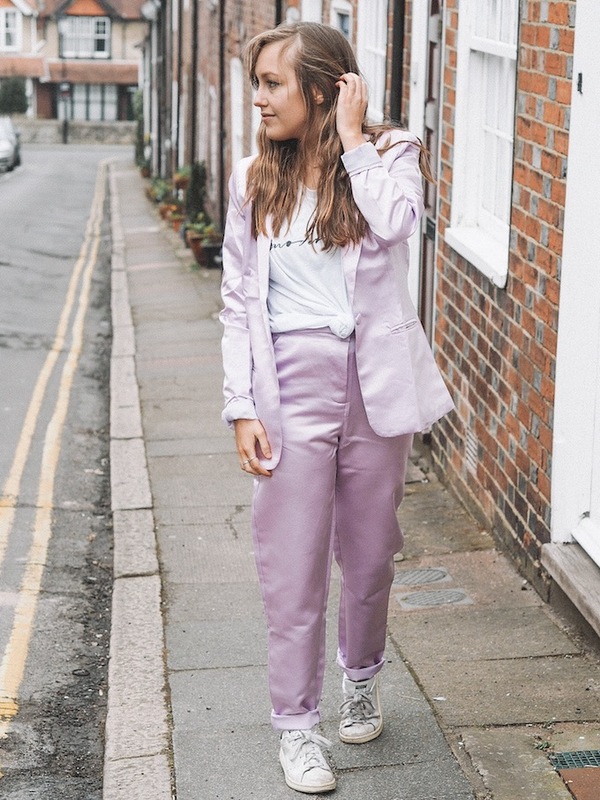 The old outfit post done and dusted. That's if you made it to the end and didn't jump over to the Zendaya edit which I know is very tempting right? I hope we are all well! LOVE this look!! Gorgeous colour! !